So the buzz doing the rounds is that Akshay Kumar has been signed by Aditya Chopra’s Yash Raj Films to essay the role of Prithviraj Chauhan, the legendary King from the Chauhan dynasty. The film is said to be a mega-budget period drama will detail the epic love story of Prithviraj and Sanyukta. 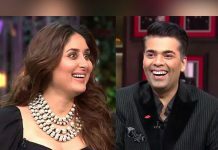 A spokesperson at Yash Raj Films told HotFridayTalks.com that no official statement has been made to announce the film but however did not deny the reports. The film apparently will be directed by director Chandraprakash Dwivedi, who has directed and played the role of Chanakya in the 1991 TV series by the same name. Dwivedi was unavailable for comments despite repeated calls. It is being said that Aditya Chopra had been toying with the idea of making a film on the Rajput ruler for a long time and Akshay was always his first choice for the role. It is being said that the makers are busy with the research and pre-production preparations for the same. But looks like Aditya Chopra is not alone, director Ashutosh Gowariker is also making a film on the Battle of Panipat which involves Prithviraj Chauhan. Gowariker’s film which is titled, Panipat will be based on the famous Battle of Panipat which took place in the 18th century and will star Arjun Kapoor, Sanjay Dutt and Kriti Sanon in the lead roles. The film is slated to release on 6 December 2019. A source very close to the film informed HotFridayTalks.com that Arjun Kapoor will be playing Prithviraj Chauhan and a huge set is being constructed at Nitin Desai’s ND Studio in Karjat. “The set is getting ready and the film will go on floors sometime in November this year. Arjun Kapoor will be playing Prithviraj Chauhan in the film.” Kriti too tweeted the first poster of the film a few months back. While Akshay’s Prithviraj Chauhan is expected to go on the floors sometime during the mid of 2019 after Akshay wraps up the upcoming third instalment of Hera Pheri. Akshay was last seen in a YRF film almost 11 years ago for Tashan that also starred Saif Ali Khan and Kareena Kapoor Khan. While no films have been made earlier on the legendary king, a television serial based on Prithviraj Chauhan’s life titled; Dharti Ka Veer Yodha was very popular. It will be interesting to watch both Akshay Kumar and Arjun Kapoor play Prithviraj Chauhan.